The Place Where G-d Sets His Name: Why No Temple Yet? In chassidut we learn that we are to live in the parsha; some weeks the message just meets up very nicely with current events. This is one of those weeks. I come into this week’s lesson having in mind the recent news that may suggest a new shift in religious experience for the Jewish people. It appears that for the first time within the context of the State of Israel a bill is being proposed that will allow Jews to be permitted to pray upon the Temple Mount. If passed and implemented this will break the long standing Muslim monopoly on worship in the site. This action comes to the forefront due to the assertion by foreign governments that the current baring of religious expression of non-Muslims is discriminatory. 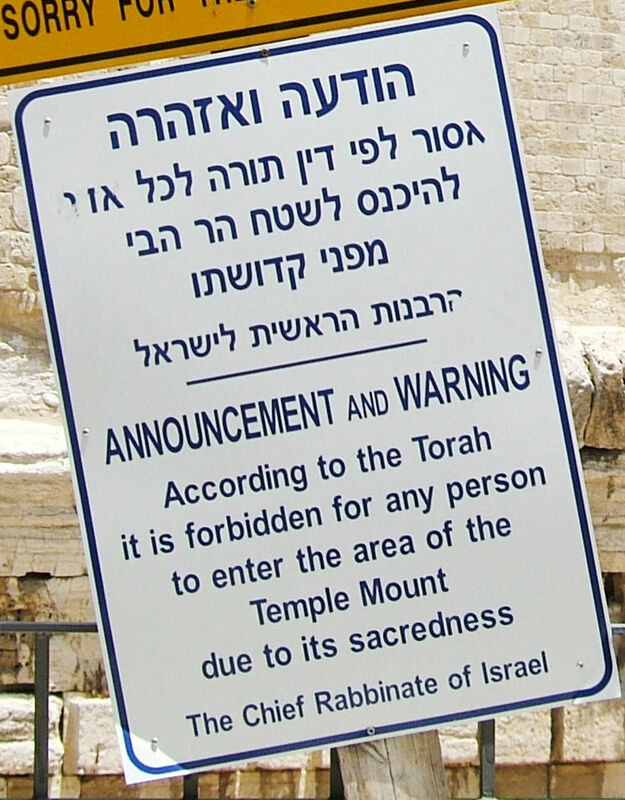 (see “Bill calls for Jewish prayer times on Temple Mount.” – Jpost ) The site is sacred to people of other faiths and they should also be permitted access. Yet we still await to see what will become of this. Are Jews attempting to build a Temple there? What does it mean for the site itself, and how does this play out for us when reading this situation through the eyes of Torah? Many have wondered why it is that the Jewish people have permitted this dominance of Muslims over this site. Some can understand why in a secular state there might be little interest to dismantle the Muslim presence that holds the site, that is not the objective of a people’s state. 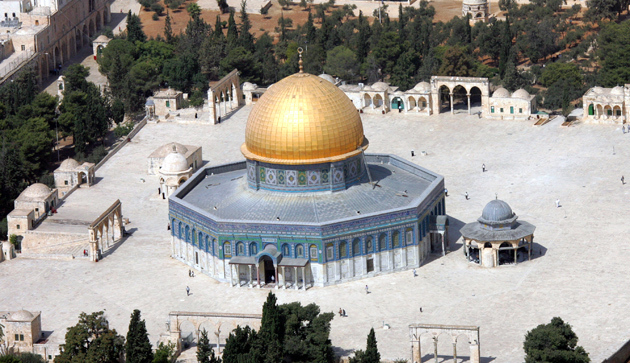 What is shocking to many is the religious reluctance to razing the mosque upon Har haBayit – the Mount of the House of G-d – and restoring it to its former glory once again as the Holy Temple of the Jewish people. After all, this is the most sacred site on the entire planet for us Jews, and only auxiliary in important to the other grandfathered religions that arose upon the foundations of Judaism. In fact the more Orthodox the person is, the more conservative one tends to be on the idea of seizing the Temple Mount, and the establishing of religious worship upon the site itself. Synagogue worship has a rich history dating back to our most ancient history. I need to point this out because most people think that the engagement of synagogue worship dates back only to the Greco-Roman period, where under exile and dispersement there was a system of congregational worship outside of the established Temple. This could not be further from the truth. This misconception comes from the fact that word synagogue is a Greek word (συναγωγή), however even the scholars tend to only think that worshiping in small, local sites could only date back to the Babylonian exile because it is in that context that we see the first use of the term in the Greek translations of the scriptures that references such congregations. This is also incorrect to us religious Jews. According to scriptures and the sages the basis of worship in a state of exile originated in the age of Moses; being taught to the Israelites on the outside boarder of the Promised Land, just opposite the Jordan before going into the Land. Also in this same speech he gives the a solution to what to do to establish a central religious site once they have settled. every man what is right in his own eyes. So here Rashi is pushing us back to the beginning of the text, forcing us to recognize that this verse of Deut. 12:8 means that they were not to do all the things that were spoken of herein once we have settled. It may seem strange to us, but this is the definitive answer on the subject according to the most accepted of Jewish commentary. Does Rashi really have a point or is this mere circular logic for the sake of harmonization? If we look at what is commanded we see that the charge of G-d is to purge the land of idolatry. This is the call of iconoclasm par-excellence. All the places of Canaanite pagan worship are to be destroyed. The sacred altars and obelisks are to be smashed to the ground, their sacred groves are to be chopped down for firewoods, engravings and sculptures of their deities are to be cut up, and the names of their gods are to be obliterated. As pointed out a couple weeks ago, the only other religion that holds iconoclasm this close to their core is Islam (see Parshat Ve’etchanan 2012); the only classical religion that Judaism does not define as polytheistic or pagan. Honestly, culturally us religious Jews have more in common with Muslims that can be said concerning us and any other religious group. Is is true there is a historic disparaging of non-Muslims on their part that has tried relations at times, a typical chauvinism held by a larger group upon on a historically humbled group in their midst. And certainly the current political clash between Islamicists and the State of Israel has created a displaced attitude of anger towards all Jews. Still that does not shake the fact we are very similar and when placed together are better in relation (when not instigated) than outsiders appreciate. We understand each other’s ways, the cultural and religious gap is not that great. And at the heart of the values that we endear about each other is the purity of our religions in abhorring idolatry and iconography; that is so rare in this world that it puts us in a small club. In this respect, the Muslims are our brothers. However we do vary in a certain respects, we are not permitted to have idolatry in our midst; within our homes and dwelling places. But it is not generally our way to campaign in order to destroy all forms of iconographical art in all places; only in places of our own possession and dwelling. What people do in their own communities and homes is their own business and doesn’t concern us. This also applies to the mosque upon Temple Mount. Our indifference to the mosque’s presence is because there is no form of actual idolatry; no sacred odalisques to encircle, no sacred trees to worship, no sculptures to adore, and nor offensive name therein. Our command is to destroy such things, but they do not offend the site in such a way. And herein lies a remarkable mitzvah, an astonishing commandment. One so notorious that even the commentary of Rashi doesn’t seem like it needs to point out the presence of the powerful mitzvah derived from this text. But this is the actual point that Rashi is getting at, being a master it seems to slip his mind to have to do the setup for this directive (as you see from my feeble explanation, it takes a lot of background thinking). But herein we are commanded that we are not to destroy, in any way as described above, any sacred object to the true G-d. We cannot deface true religion, or it is as though we are defacing G-d Himself. Even to the most conservative in our midst Islam is considered misguided at times, but surely not idolatry and we cannot claim so because they have no presence of any of these offending objects. To deface items, especially at this site specifically as we will come to see, would be considered a desecration of the Name of G-d.
Now one might wonder why Rashi feels the need to point this far back; what moral lesson is there and how yet does this play into his seemingly odd commentary to our starting verse? all the 14 years of conquest and division. rather [this is for] what is vowed or donated. If we skip forward in to our parsha we see that there are a bunch of sacrifices and offerings laid out. Ones that are obligatory, and ones that are optional. Among the optional ones can be anything from just a general donation of an item, to ritually fulfilling a religious vow of a personal nature; they didn’t have to, but they are taking this pious act upon themselves. Any of them can be offered at the tabernacle, and this is stressed. But only the optional ones can be offered elsewhere. For 14 years they are going to be raging war in order to conquer the Promised Land. During those years there is not going to be a set place to establish the Mishkan. During that time they will be permitted to establish Bamas; stages, and platforms. Here they may offer up their optional forms of ritual giving; but only the optional ones. It is not exactly like the situation that the children of Israel currently know (ha-yom; today). They currently have a tabernacle, that is taken up and down as they move around. When they settle it is erected and they offer there but they are permitted to eat from it anywhere within the confines of the encampment. But in the days to come the tabernacle would be dismantled. They people are not going to be able go about business as usual in a state of war. It is understandable that the people will still want to worship in the interim, and for this there is presented the option to offer up on a Bamah in their communities. Now the Bamah sounds unusual to some readers, but its not exotic at all. We see it all the time if we go to shul; just usually pronounced with an Ashkenazi tinge, the bimah. What the word Bamah actually means is a stage or platform. We are referencing the elevated place; in olden days people placed altars upon them, today we place tables instead. Over time people have begun to call the gracious table the bimah; the table upon which we perform our highest mitzvah – the reading of the Torah – but in actually the real bimah is the elevated platform itself. Thus we see that the origins of congregational worship outside of a central, national Temple being presented. People are allowed to congregate throughout their lands as they begin to settle, setting up bimahs were they are able to worship for free will. But the karbannot, the atoning sacrifices, we do not allow to be offered until that Most Holy Place is established. This is a precedent, that will be a model going forward for the people of Israel in a state of partial exile. I cannot stress it enough, as this parsha continuously stresses that what we are and are not allowed to do. It warns us explicitly to not offer burnt offerings just any place we might set our eyes (if we look forward to verse 13). Instead we are to wait. In Rashi’s commentary he acknowledges that there is coming a day that the people are going to dwell in the Land and therefore feel obligated to do certain things, but until the establishment of that sanctuary comes they are to use this model. This verse here, this is the actual core verse of this parsha. It is going to drive the message of the rest of the parsha. Everything is going to be defined by this drawing line, this is what changes it all. When G-d decides to establish His Name at one spot, they would need to bring out of mothballs all the things they were previously commanded. Everything will be offered there, both optional and obligatory. At a place where He will choose to set His Name. But what we need to remember is that from the moment they stepped over the river, they were at war. Things would not be business as usual again and there would be no going back to the desert cult of the Mishkan. And this would be noted by Rashi. You see our starting text serves as a good jumping-off point, being about showing reverence for the sacred. Because this would be played out literally in a unique way as they would show reverence for even the Mishkan too from that point on, only erecting it and moving it after times of destruction. Both times the Mishkan was erected within the Land of Israel it was destroyed by evil men, both at Shiloh and at Nob. Only then was it broken down and moved. Rashi points this out that next it’s instruments came to Gibion but there they choose instead to offer on a Bamah, until it’s instruments finally came to the rest in Jerusalem – the ultimate place that G-d has chosen to establish His Name. When we imagine the ultimate symbol of Jewish freedom, we see that culminating with free and unfeathered access for Jews and the entire world to a House of Prayer for all the Nations in the age to come (see Isaiah 67:7). We cannot help but imagine and long for that day when we can look to Har haBayit – the Mount of the Holy House – and actually see the future house in all it’s glory and splendor. But because we cannot show disrespect to the sacred site without removing the honored building that is already there we hold this hope close to our heart. We take no actions of hostility, the truly pious will not lift their hand against the Holy Hill. 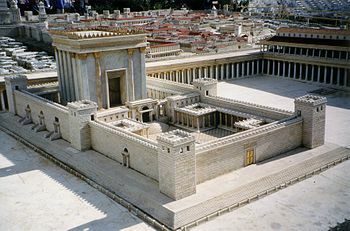 In our hearts when we set our prayers towards Jerusalem we may see the beauty of Solomon’s Temple rebuilt in our minds. We may long and yearn for it. Some of us even talk obsessively about it. But remarkably to date there has not been anyone of true religious clout to attempt or even suggest the seizing of Temple Mount and the demolition of its sites. At best people can claim that among us there is a fanatical attempt to preserve the site as much as possible for archaeological and historical reasons; and the seemingly eccentric occupation of some with readying themselves for the day that a Temple is established by the King Messiah. When David conquers his territory and settles his land he wishes to build the Temple in. This is his original idea. G-d says that the sentiment is nice, and its a good idea. G-d will surely allow it to happen, but it will not be him to do it. Solomon honors his father as his dream is actualized. unto Israel in his days. There are those such as myself that do have hopes and aspirations for the future Temple, may it be rebuilt quickly in our days. But like King David we find ourselves in a precarious situation. The conquest of our country was not miraculous. The Jewish people used warfare, just like every other people under hostility and tyranny to establish themselves a home. Not just any wars, some of the most notorious wars of the modern age. We like David did not acquire our land with clean hands, in ways sanctified by religious rhetoric. We fought a secular fight; one that soiled our hands with the blood of war, and even yet we are not completely secure within our true boarders. Our hands are not clean. Like David, it is good and well that we have these hopes and sentiments, but it is best that we keep them in our heart and not put them to action. This is our sentiment, even that of the most modern Religious Zionist. There are those of us who feel like we should have the right of any person to go and pray at the site. But we are not trying to destroy the site and establish a new presence. We have no religious pretext for such a move. We await the coming of a new generation of peace, that can accomplish this task of reestablishing this House of Prayer for all the Nations without violence and bloodshed. As we come into this weeks parsha we see that the children of Israel have been turned away from entering into the Promised Land. The Edomites, the descendants of Eisav (Esau, the brother of Yaakov Avinu, Jacob our Father who was also called Israel; see Parshat Vayishlach) turned them away, not allowing them to cross through their land in their travels. (Numbers 20:18) For this reason they were forced to turn back into the wilderness toward the sea where they had come from. In the process this also exposed them to the attacks of Canaanites, who had managed to take captives from their ranks before subsequently being defeated. This left the Israelites with acquired land in the south to occupy, but they still did not have enough access to territory to ascend up to their land. Having to turn back around and face the windlessness they dwelt in for a whole generation it says “vtikzar nefesh / and they were disheartened.” (Numbers 21:3-4) What this literally means is “and they were short of spirit”. Our rabbis bring down the obvious allusion being drawn by this plague, the people’s evil and negative words had become like the venom from the fangs of a serpent. This was slander that was so great that it had mortal consequences, and it immediately began to be demonstrated by a plague from G-d to show in their physical bodies how they were being consumed spiritually. What do I mean by this? I don’t many anything spooky. Spirit literally means a burst of air, wind. But figurately spirit in Hebrew (ruach), just like in the English language usually means an attitude of people; most often of people in group. To be of spirit means a determined and enthusiastic attitude shows by an individual or a group of people. Like when we think of the terms “team spirit” or “school spirit.” Only in passing and more figuratively do we reference the very similar words nefesh (souls) and ruach (spirit) in relations to an person’s eternal-soul or spirit-beings. We read that Moses follows this order, and fashions a snake out of copper, places it on a nes – a standard. Most often when we read the word nes, we are talking about a flag or a banner. 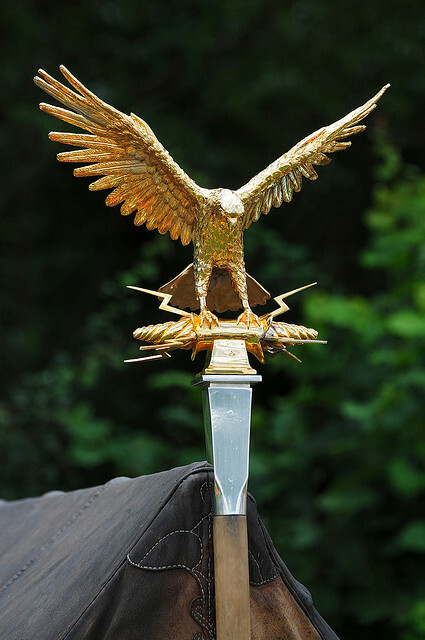 But it does also mean a standard, like a mascot; for instance the Roman army’s Golden Eagle was held high upon a pole before them when mobilized. When armies fought with their banner before them they would not just be fighting to defeat their enemies but also to keep the symbol of their honor raised high. As long as it was kept up it would become a rallying point for the people. As they looked up it would give them hope to get up and fight. What flags and standards have in common is they are elevated on a pole high enough for everyone to notice. For this reason nes is commonly translated as merely pole for this purpose in this verse here. We shouldn’t underestimate the power of symbols like a flag (nes). They have the ability to give such powerful motivation they often inspire another noun for nes; a miracle. The power of positive thinking produces nothing less than miraculous result in our lives. And this is what they needed, because the Israelites were consumed by their negativity. He was not told to make it out of copper. The details for making this standard was left open for him to decide. He could have made a flag with a snake on it if he wanted to. But it appears that Moses did not want to stray and be too imaginative in the plans for the symbol that he was making. He went with a material that sounded like the symbol he was forming. It is important that we understand that this story is steeped in symbolism. The choice of construction for this symbol is also seemingly symbolic in other not so obvious ways. Lets take a look again at the term “saraf vesim / fiery serpents.” This simply means burning snakes. Their venom felt like fire against the flesh, so there is a purposefulness in their name. But there is another symbolism that seems to be drawn from here, or at least later commentators and apocryphal literature would notice of the term seraf, which means burning, that this is reminiscent of the Serafim; the fiery angels. What is a Seraf? It is a form of heavenly angel. Among the most notorious of the angelic hosts are Charbim in our tradition, which are placed on the Ark of the Covenant; two large, golden angels with wings touching, placed upon the covering lid. (see Exodus 27:9) They too stand as unique symbols of Israelite iconography. 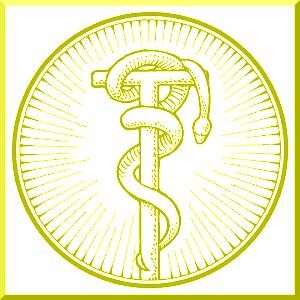 The Rod of Asclepius (left) is the traditional symbol of medicine. The Caduceus (right), though not classically being associated as such, is the widely recognized American symbol for medicine adopted by the US Army Medical Corps in 1902. For this reason it may not be unfounded that people associate the Copper Snake as something more akin to the symbol of the winged Caduceus than the more related classical association with the Rod of Asclepius; the latter being the correct Greek symbol of medicine, while the former is a more recently adopted winged symbol being recognized by us Americans. Americans seem to commingle the symbols based on a biblical understanding, and less on the actual Greek mythology that propagated the symbols. This is because in the Torah what we see is Moses creating a copper snake standard that is more of a messenger (Heb. malach, also the same word for angel). But why out of copper? What benefit would this have as a symbol? It seems obvious to me that copper has a highly reflective surface, often finely polished and used as mirrors in the biblical age. (see Exodus 38:8) When forged of this choice of metal it would be very bright when lifted up, and thus easy for people to see. This symbol would serve the same purpose as the cherabim of the Mishkan (the Tabernacle) it seems, to reflect light so brightly that they appear to glow and flood the entire area around it. If my assumption of this is true, then you might ask yourself why not make it out of gold like the cherabim of the Ark? Surely it would last longer, as the shinny surface of copper quickly begins to oxidize; first turning a dull brown, and then eventually green over time. But I believe this is precisely one of the reasons as well, as this symbol was not made to be a perpetual representation like the cherubs. This symbol had one purpose, only there and in the context of that situation. This symbol didn’t have to be built to last. or make gods of cast metal for yourselves. It is well known that based on its mirroring verse in Deut. 7:25 that many people’s general understanding of the halacha is that we are not allowed to make sculptures; in setting a fence around Torah we abhor anything that might be associated with iconography. But this is not the actual halacha, we are taught that an item does not become an idol until it is worshiped. (see Mishneh Torah, Avodah Kohavim 7) In fact even the most conservative of poskim would not hold by this halacha at this point in history, resorting to the traditional understanding, that something does not become an idol until it is actually worshiped. Now in the modern age, outright idolatry is so unknown that lifelike objects made by anyone are not considered an item of idolatry until utilized for that purpose. (see Shach 23, and a referencing article) Nonetheless our distaste in such items remains. It is my belief in the intent of the Nehushtan to be temporary that explains why this symbol was formed after the likeness of a serpent. It only needed to be used that once time, and for that one purpose. Had it been something that was be more permanent then I’m sure it would have taken on the form of a cherub instead; fitting nicely into the permanent decor of the Sanctuary. But a guard for the presence of G-d was not necessary, one to declare His glory was needed this situation in the desert. And it was only important in the there and then. Does [this] snake cause death or life? Mekhilta, Be-Shalah, s.v. va-yasa, p. 156). What G-d was doing was providing an appropriate and recognizable cure to their problem at hand. Moses did not provide a traditional angel, mostly likely because he did not want it to be an intermediary between the people and G-d. The symbol of the Nehushtan was only created in order for the people to recognize that G-d was providing a cure for their situation at hand. All they needed to do was intently focus their attention heavenward, towards the Throne of Heaven with their problems in mind and G-d would heal them. But there was no power or mystical virtue in the Nehushtan itself. It was merely a nes; a banner and standard. It was a symbol created to lift the peoples spirits up and out of their situation, and to focus their attention towards our Father in Heaven. Though the symbol was powerless in and of itself, their use of it had miraculous results. Consider it for a moment, why does the word nes also means a miracle in Hebrew? What was so miraculous about this symbol? It was a sign (nes) to the people; as we see it used it used in Parshat Korach (see Numbers 26:10). This would serve as a sign to the people, as it would be raised up in the wind like a flag (nes; see Isaiah 11:12) to signal hope to them. Being raised in the wind (ruach) it would serve as a sign (nes) to raise their spirits (ruach), so that the people would no longer be vtikzar nefesh (short of spirit; disheartened). Sure the symbol itself was powerless, just like a national flag or similar item is endued with nothing more than the hopes of the people who look to it. In reality they didn’t need a symbol at all, it was just a mundane item they regarded as a talisman. That’s how powerful human belief and hope is. G-d seems to have instructed the creation of the item to help the people who needed to be motivated by simple suggestibility to look above their current situation. All they needed was to find the enthusiasm to believe. This story serves as a lesson to us, that G-d does in fact permit us to have very tangible symbols and signs in which to help us focus our attention and faith heavenward. But it stands as a testaments to us as Jews as to why we tend to not rely on symbols and signs, because in the end they can just become a distraction. Symbolisms and ritual items should only direct our attention to G-d alone, as we should never let anything become sacred and revered in its own right. When we begin to tell this story for the novice, for the child, we most often begin simply by saying this is the start of our people, we even say this is the start of monotheism. We over simplify in terms of describing from a position at this point in history. We say this because all religions that hold to be monotheist aside from Judaism have degraded to the point of flagrant dualism and forms of polytheism. It serves our purposes to look at it this way. Then there is the view of the simpletons who see the story of the generation after Noah being more related to an understanding of the origins of racial grouping. They can only do so because at this point in history religious variances among the nations have also generally coalesced along ethnic and regional lines. But this is a gross generalization. Not that the Torah is not making a generalization, its just not making a racial one. The story of the generations after Noah are more concerned with explaining the degradation of cultures, not into ethnic groups but instead into world views. The three archetypal groups that our fathers were concerned with is of a religious understanding. The nations of man instead had degenerated from a place of assumed monotheism to breaking into three cultural world views; pantheist, polytheist and animist. How can I claim this? First off, notice there is no issue of idolatry ever mentioned in this Genesis story even up until this point. Certainly, the people going back in time are assumed to have descended from people who knew the true nature of G-d and had to have deviated at some unknown point along the way. And this rings true in what we know from archeology and history, from China to the Cape of Africa, from India to Iceland the concepts of pure deity with no anthropomorphism and intermediaries lays at the furthest roots of their cultures, only to deviate over time as pure religion sought to explain specifics of their spiritual world in ways that fragmented their view away from a Divine Unity. But this was only generally the case. Zulus and Native American cultures for instance often shocked Christian missionaries with monotheistic values that were even more pure in their understanding of the all encompassing One than even they possessed. This is a fact, read the works of Budge, Horn, Faber, Rawlinson, Waddell, etc. ; all the major experts in archeology and history agree on this. But even our scriptures knows it is making a gross generalization because it explicitly tells us there still remain small pockets of these unadulterated cultures left. One of these remaining pure thinkers is Melchizedek, the king and high priest of Salem; or as we understand him in the Talmud and Aramaic translations of the scriptures, to be Shem the son of Noah, now king of Salem in the land of Canaan; which was the citadels of the prehistoric city of Jerusalem. Though there were those who had not perverted their way, this was generally not the case; most of the people had lost their way. Instead this story is going to be concerned with explain to us how our ancestors lost their way. And they did so more than just in a philosophical and religious way. These decedents of Shem, our Semitic ancestors were also embarking on a very physical path on the way to a land of promise even before it was guaranteed through a promise. And that is what I want us to talk about today. We need to understand that the scriptures are not necessarily telling us a chronological history, and those of us who study rabbinic literature are well aware of this. Aside from looking at the wealth of midrash we have related to the intermediate years between Noah and Avram, we have a great deal of simple clues to show us that we are only talking in the general sense in this as well. Just as there are ten generations between Adam and Noah, there are ten between Noah and Avram. The meaning of why it gives us this list of generations is apparent if we start at the beginning with the first decedents born in the lineage of Noah; Arpachshad, which is a name of a place today in Turkey that was a nomadic encampment. Names continue to be tied to locations several times along the way (notice other names and seemingly corresponding places are Sereg, to Sarugi; Terah, to Turahi; Nahor, simply to Nahor) until we find that these Semites, decedents of Ever (from which the name Ivri, meaning Hebrew is derived) making their way until they stop in a place that kind of sounds like a person, a place named Charan. I say sounds like because Haran (הָרָן) and Charan (חָרָן) are not the same. Actually they are quite different, Haran the name bares the suffix “har” meaning hills, probably referring to the hilly places the people originated; this is the son of Terach and brother of Avram. Charan though means a dry or parched place; this is a well known city. Though Haran is not responsible for the establishment of the city of Charan as one might assume from erroneous juxtaposition of the names (this is the case for most Christians, and always the case for Muslim scholars), he does however seem to be responsible for why the family settled in Charan. What we know is that Haran was born in Ur Kasdim, in the assumed Chaldean city of Ur; this would place their journey as far as the Tigris and Euphrates rivers in Iraq. Haran dies in the place where he is born, there in Ur Kasdim (Genesis 11:28). Then the family, as we read, continues on but doesn’t make it any further then Charan, which takes them probably back to present day Turkey, a distance of a good 550 miles. Despite the name, this path via Charan provides the water necessary to make the journey by following the Euphrates as far as they could instead of having to face the vast dry deserts of present day Iraq and Jordan. And then Terach suddenly stops and settles in holy city of moon worship know as Charan, were he then dies. Terach’s stay could have been there as long as 60 to 100 years in Charan, before he dies; just about 700 miles from the final destination of Canaan. Though we are not explicitly given a reason for why the journey to Canaan stopped, if we look purely at the composition of the text we are given a clue. There is a setumah break, a pause and break in the text after verse 25, which makes verses 26 through 32 one entire clause. What this sections tells us is that Terach has three sons, the youngest of them is Haran. Haran dies in the presence of his father in the place that he was born, after taking a wife and having a son named Lot. Terach takes the rest of his family, except for Nahor his middle son and his household, and journeys to Charan. We can only assume that because the tragic death of Haran is such a major piece of this section concerning how they got to Charan it must have been Terach’s grief that paralyzed him too much to go on. If we look at it this way, the mentioning of Haran’s death is not out of place at all, as it would appear so otherwise. Though our midrash is heavy-laden with stories of Terach’s succumbing to idolatry, there is nothing explicitly mentioned about it in the Torah text. However, if we look at the name of the wife he chose for Nahor, for instance, we will see that she outright has a pagan name; Milchah after the goddess Malchatu (the daughter of the god Sin; corresponding to Ishtar or Isis). Terach seems to have lost his way and found himself more at home here in shadow of the ziggurat of the moon goddess, never to move on again. Though if you do the math, and look at the text we see that when Avram moves on Terach is not yet dead. However, our midrash also enlighten us to why Avram, the true master of all Semitic values could do the unthinkable and seemingly abandon his father; our sages tell us because he is as good as dead, there is no use in hoping Terach will continue. 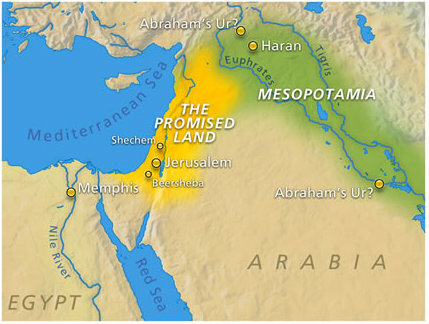 When we look at this story of the travel of Avram, on his path to become Avraham Avinu – Abraham our Father – we see the story of Abraham starting out in the land of Ur Kasdim; this literally means “the light of the astrologers,” it was the Chaldean land of the magi and mystics of the orient who worshiped the stars. He would make his way to Charan, the sacred city baring the pylons to the moon goddess; he would then journey to the land of Egypt, and travel in the shadow of the pylons dedicated to the worship of the sun god. But he would succumb to none of them, in face of all these beliefs he stayed true with his dedication to the all encompassing G-d. When Hashem speaks to Avram alone and says to him “lech lecha,” to get up himself and go, Avram is not the first to set out on this journey. Avram is the last to continue in pursuit of this aim. Likewise when G-d calls Avram, the last Hebrew true to his ancestral ways, he is not the first monotheist here at this point during his lifetime; instead he is the last. Avram alone has not lost his way, so G-d speaks to him to go and continue on. He continues on the path for us both physically and spiritually. Yes, I know our midrashim throughly. I clearly understand that we reckon Avraham Avinu as being the father of monotheism, that Avraham was the only one to come to the understanding of G-d as being The One and Only because he ascended to this consciousness from his own reasoning, there was no one left to teach him even in his household of the ways of monotheism. I do not disagree with this midrash at all, however even citing this our tradition points to others who ascend to this knowledge independently as well. One of them being king Hezekiah, the king of Judah who returned to true worship of Hashem even though his forefathers were idolaters, he came to this conviction on his own without any upbringing or direction from his kin in this matter. Through from this side of history its easy to see them as being firsts, instead of being the lone dedicated and faithful of their clan that they truly were. Though it seems that simpletons and novices of all faiths that hold these scriptures to be holy seem to misunderstand the message of this story, we should be patient with the elementary reader. Quite honestly, even the secular “scholars” tend to fumble over this story only noticing the underlying message that has always rang true in established Judaism, to separate ourselves from foreign heresy; they too look from this point in history and try to write the story backwards. Their hack approach tends to miss the actual intentional message, that the purpose of this journey is to follow through and see our dreams through to fruition. And secondly, as we make this journey its not just about not loosing our way but about not loosing who we are in the process. For Abraham, finding his way to the promised land was not just about him finding his way to his dream, it was also a journey with him having to find his way without loosing who he was along the way. Abraham was not just finding his way to his homestead, he was finding his way back to his true self. 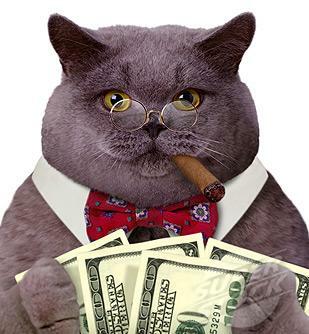 Does Mosheh Really Call Us Fat Cats During the Holidays? I know this is coming at you kind of late, but as I was sick and with the holiday coming up I didn’t have a chance to put a learning into words for us. But we have made a good trek all the way through Devarim (Deuteronomy), so I’m passing this on now to keep us up with our study schedule. Here we are, we have come upon the Jewish New Year and we begin weeks of recognition and celebration of the High Holidays. We are also wrapping up the annual Torah reading, this week being assigned a short parsha that is merely one chapter long. Though it is short it is a deeply powerful display of Jewish scripture, tradition, liturgy and language. The whole chapter being a song that was sang by Moses. This week is a big deal, being Shabbat Teshuvah – the Shabbat of Repentance, that comes between Rosh Hashanah – the New Year and Yom HaKippurim – the Day of Atonements. This is this big one, one of the two Sabbaths where people tend to attend services more often than any other time of the year (the other being Shabbat HaGadol – before Pesach). This parsha really works in very well with the program. Most American shuls, especially among the progressive and the “established” movements, charge big money for high holiday tickets. So many people want to attend services, and it costs money to roll all that out; people pay, and your expected to put on a good show! A congregation also hope to impress people to join the shul, making regular members out of just holiday attendees. You really bring out the best you’ve got, this is the time to shine. The message of Haazinu comes in three parts. First, that the perfect G-d chooses an imperfect people in order to bless them beyond their imaginations. Secondly, the people would forget about G-d and rebel, bringing judgment and disaster upon themselves. And third, that G-d would rise up and bring justice and restore His people. Now I don’t want to make Mosheh’s message sound negative, because it isn’t. It’s simply honest, and sometimes honesty can be less than flattering. Mosheh is not necessarily making a statement about any one generation or age. Surely it can’t apply to the generation at hand, because they had not even completed Step One, by inheriting the land and being made prosperous. He speaks of the people not as individuals but as a “dor / generation;” meaning society or an age in general; which is a poetic way of saying this applies to all generations and ages. He’s speaking to society at large. Any generation can take heed of this message; thus the reason it is commanded to be memorized from that time on. There is so much I would love to say about this the structure and the tradition of reciting Haatzinu, but it must wait until another time. I really think we will get the most out of looking at the message that Mosheh is trying to give. It is important for us to understand that this is his last statement, immediately prior to his final blessing before his death and the ascent of the people to the Land. This song is Moshe’s grand finale. Even the most hostile and jaded, even ambivalent and ambiguous of us Jews can find a reason to stop and recognize our Judaism to hear this message. It’s because we associate the Divine and Torah with justice and doing what is right. We see godliness as a means to Tikkun Olam – perfecting the world; remedying what is not right in the world. The world religions, with their trinities and pantheons, do not hold up to the charge that we as Jews must take notice that there is no one else aside from our G-d. No mother or father, son or grandson, sister or brother; no multiple personalities; as the Adon Olam beautifully states “hu echad vain shaini / He is One, there is no second / l’hamshil lo l’hach’birah / to compare Him to, to associate Him with.” There is no dualism, no devil; no divine conflict; we are not a smudge on the looking-glass. There is merely a reality of a fierce, yet still nurturing nature presented in the image of the G-d of Israel. The Divine, like nature, encompasses life and death; but unlike nature G-d has a plan, to cause pain in order to heal in the end, and not to cause harm. We as reasonable Jews take pride in the philosophical maturity of our religion. No matter what grudges we have against the institutions, once a year many of us come out of the closet as Jews to take notice. And see, we have some great material here to work with to make people feel good about themselves. But here Mosheh decides to do something else instead, he decides to turn his last message to the people in order to ask them if they are doing enough for G-d. Not bad to start, but he does kinda goes about it in a crotchety way. Mosheh’s message, no matter how ornery the wording might be on the surface, still shows a certain tone of sensitivity. He begins to speak like the stubborn old grandpa; nothing more, nothing less. But he begins to show G-d in a tender fashion, calling G-d our Father who has rescued us to be His. Moshe’s words can be overlooked, probably not offending too many people so far. He shows his old fashioned ways by telling us to consider the old days, take a look at every generation, ask your parents and the old people and they will have wise council for you. This we can all pretty much agree on, and relax when we consider it. Then Mosheh goes into speaking of Israel in personal and affectionate terms. Not at a Nation, Israel; but as a person, Yaakov (Jacob); and by the tribal term of endearment, Yeshurun. Mosheh beings to talk how G-d has made all the nations, but set aside Israel as a special portion. (v.8-9) Moses talks about G-d rescuing His people from the wilderness, showing compassion on them and treasuring them as the apple of His eye. (v.10) He presents Hashem as an eagle, protecting us under-wing as his chicks. (v.11) This beautiful imagery melts ones heart. Mosheh describes G-d again as being the only One for us, that “Hashem badad yanchenu ve’ein imo el nechar / Hashem alone did lead him, there was no foreign G-d with Him.” (v.12) We hear a description of how G-d elevated us, even made our lives sweet and met our natural needs. (v.13) How sweet was life? We read a lush description of G-d nurturing us with honey, oil, butter, cream, the finest of meats, the finest of grains and the sweetness of wine. (v.13-14). Such beautiful imagery is used, we almost forget Mosheh’s sharp words early on. We can all agree, even the most impoverished and sad luck cases, that we as humans have a lot to be grateful for. But here is where the gauntlet falls, this is where the song starts getting extremely uncomfortable. This is where the message is less than savory, and turns critical. And this is where the board members and fund-raising staff of the shul gasps. Here Mosheh rabbeninu, during this sensitive season calls us a bunch of fat cats that have forgotten G-d who has been our yeshuah – our help, our support, our salvation. Wow. He went there! And here my friend, is where the charge by Moshen rabbeinu quite often rings true! Actually, more so today than at the time he delivered this song. The people had not yet prospered in his day, it surely did not apply to them at that time, as I have pointed out. If it stands to offend anyone, it stand to offend us today. Truth be told us Jews today have a problem not necessarily with other gods, as much as our no-gods. We put so much energy into the things that aren’t deities at all, but we obsess over them in more than a religious fashion. Many of us are really guilty of this, whether we like it or not; and the more its true in our lives, the less we like it. We can give so much time and money to our politics, but often give so little of these resources to our Jewish community. We can spend so much effort on our bodies and diets, but we can ignore nurturing ourselves and our families souls. So caught up in philosophies, but dispassionate about yiddishkeit (Jewishness). This charge hurts to people who can drag themselves out of work and leisure time for yoga and chanting several times a week, but can’t be bothered with Shabbat or holidays normally. Us Jews often times can tell you just about anything concerning sociology, ethnology and world religion but can’t be bothered to learn anything beyond a dangerously childish view of our own Judaism. Proud of our fad diets, but resenting other people’s kashrut. Willing to fly 15 times zones to the latest guru to come up, but something simple like lighting a couple candles is too much to ask for. These are our no-gods, these are the things we are more than willing to sacrifice for. But sadly, many of us would never even consider giving a portion of that dedication to a culture and a religion that has given us the richest heritage that we can possibly experience. A heritage that has benefited us, and served us well. Instead we get can so often get caught up on mishagas (craziness) our forebears would never even imagine, nor would they ever consider revering. The reason we are considering these holy convocations, and even go through the effort of considering this Torah as we are now, is because we have do in fact revere our heritage that has given such a good start at life. We want to do whats right, even if we are the most despondent or dissatisfied of Jews, we are doing this because it is the right thing. Even more so because it will make us better people, its not petty as some people suppose; just time to shmooze, see the relatives and share IPOs. In respect of our heritable the average Jews can stomach an almost fire and brimstone rant by Mosheh this shabbat; even if only we just smile and shrug off his wisdom like we do rants of a wise old grandfather (the general way most of us modern, Israeli-minded types treat religion). Moshe here at the ripe age of 120 years old is giving his last words of advice. He’s not so much accusing as stating a general fact, that when people get comfortable and well off they often forget the aid that helped make them who they are. I don’t have to state the things we are benefactors of my friends; the respect for scholarship, the pursuit of justice, the honoring of ethics, the insistence on logic and the determination to being one’s true self that is embodied in Judaism. Moshes doesn’t have another chance to ask us, us Jews of all generations, if we really showing due respect and gratitude for this treasure. It’s just as important not to pass over for a congregational rabbi too, we might not see many of you for another year (G-d forbid)! We don’t accuse or beg, but ask you to consider for yourselves. I can only say this because I’m pretty confident in this richness from hearing the peoples of all nations of the world who marvel and are in awe of the faith and culture that us as Jews have so been gifted to be partners in. While we run around after every exotic thing, the nations marvel at the birthright we have been given in this Torah and brit (covenant). But don’t just take my word, or the word of people that you would consider mere hysterics; the scriptures attest that this is true. There isn’t anything out there “better” to be offered to you. | hevel v’ain bam moil. On a heart level, we all know this to be true or we wouldn’t be bothering with this at all. An amazing thing, this pintele yid – the spark of Judaism that hold us together and drives this desire to care for something better. It was good for us, it’s still good for us even with hang-ups, and its a good thing that future generations need to benefit from as well. We all love John F. Kennedy’s “ask not what your country can do for you, but what you can do for your country.” Maybe Mosheh didn’t say it as smoothly, but he did say it quite poetically and accurately; so can we give the 120 year old guy a break? as I, Hashem your G-d, am holy. | ki kadosh ani Hashem Eloheichem. One of my greatest joys I have in my life is that I often get the opportunity to talk with people about their faith and connection to Judaism. One of the main staples of Jewish outreach is to remind people of the wonderful values that have served one’s fore-bearers well and which they still benefit from. I remind people to stay true to one’s heritage, informing them of the Torah’s stern words in Deuteronomy 13 that we are not to follow after gods that our forefathers did not know to serve them, instead we are to cleave to our own G-d (see Deut. 13:3,7). For the most part this is a good word of advice. Most people can agree that despite all the colorful hangups of Jewish neurosis, there is something wonderful about the experience worth honoring. But not all of us come from such ideal backgrounds. When it comes to religion, some of us have really been challenged with bad displays of faith in action through the lives of our own parents. Because of this sometimes it’s really hard to connect to our religion. Sometimes our way of looking at our own spiritual heritage comes clouded with all kinds of negative experiences and sentiments. For those who have these challenges, reading the introduction to this chapter can be very difficult. We are told that we must respectfully fear our parents to honor them and also to keep Shabbat, as if they go hand in hand. It might look as if one command is dependent upon the other. Some of us can say to ourselves “if you only knew the type of people my parents were you wouldn’t be telling me this.” Maybe because they didn’t honor Torah living. Or maybe because our parents observed their practice of Torah in a harsh and calloused way that we don’t find it at all admirable. Our sages were very practical people, they realized that unfortunately this would be the case for some people. In the Talmud we find our rabbis actually take this verse from that angle. In Talmud Balvi Yevamot 5b we have a discussion related to verse 3 of our parsha. It notices that the command to honor one’s parents and to honor the sabbath are paired together. It also notices that respect of ones parents precedes the command to observe Shabbat. Our rabbis note that though we are first commanded to respect our parents, this does not mean that it is more important than honoring Shabbat. We are told that if this was true then our parents could tell us to do things to desecrate the sabbath and we would be bound to follow. No, instead we are told that “ish / everyone,” each person, is required to keep the sabbath for themselves; parents and children alike. Of course, we understand that the sabbath is used as representative of our entire faith, because it is that central to our tradition. Our rabbis present this verse in a way that teaches us that if we are outright told to do something wrong by our parents we are not to obey them. Because “you” are to do what’s right, it has nothing to do with them. We see here that we are told not to be turned aside, meaning to not let ourselves be distracted. What are we not to be detracted by? We are not to let ourselves be detracted by idols, false displays of deity and spirituality. For me it even seems to go much deeper. Notice the word “masechah,” which we translate as molten. What it means, is to be poured (masach); the contents of the metal is poured into a mold and cast. We are not to allow our vision of G-d to be molded in the distorted form that we saw it come from before. Quite honestly, this is probably one of the hardest things for people of spiritually challenged upbringing to wrestle with. Though we don’t like the way culture and beliefs were shaped for us, we can often tend to unknowingly pour our feelings into the same distorted crucible and end up with the same misshapen results. Others intentionally make a cast iron “strawman” out of the bad example to justify why they are indifferent; this too is an idol. Instead we are called to break the mold, and let godliness take on a new shape in our own lives by finding out who Hashem our G-d is. Rashi expounds on this point when commenting on the words “lo ta’asu lachem / you shall not make for yourselves.” He agrees that it means that we are required not to follow after falseness that we make for ourselves. But he points out that it is more that just that, we are also not to follow after any form of idol even if someone else makes it for us. Just because someone sets up a bad example for us, we are not given a pass. No, we are just as responsible for being distracted by our idols just as much as being turned aside by those of anyone else. Once we let ourselves grow beyond the hardness of this type of rigid religion then we can find it possible to move on to the next trait we should model. This is a bit of a complicated phrase, and being a bit out of touch with ritual sacrifice the meaning is not exactly obvious at first. But a peace sacrifice was not one that was offered because of sin, it was an optional sacrifice. It was a sacrifice that one took upon themselves, being in good standing and clear of sin or impurity one could bring such a sacrifice of their own accord and allow the priests and their own guests to take part in a good will offering they would all dine upon. It was not a sacrifice of a broken person, it was a sacrifice of a whole person. What the latter part of verse 5 means is that we should be willing to worship of our own free will. Not because we feel guilty for anything, nor under any form of obligation. Instead we grow to the point that we can stand on our own two feet and with dignity and pride approach G-d on our own terms and for our own pleasure. When we give up the rigid idea of G-d we will see that we don’t do all of this spiritual stuff to gain the acceptance of G-d, we already have that. Instead it’s for us to walk in the dignity and privilege of approaching our Maker and our community as whole people. In Judaism not only do we have a place at the table, but being ourselves is a reason enough to celebrate even in the most sacred of ways. This parsha is called kedoshim, to be holy; plural. The command to “kedoshim tiheyu / be holy” is commanded of all of us. It’s not a job in the singular. One person doesn’t make or brake the bank when it comes to holiness. Each one of us needs to do our part to be the better person that we aught to be. It’s about you, not about them.